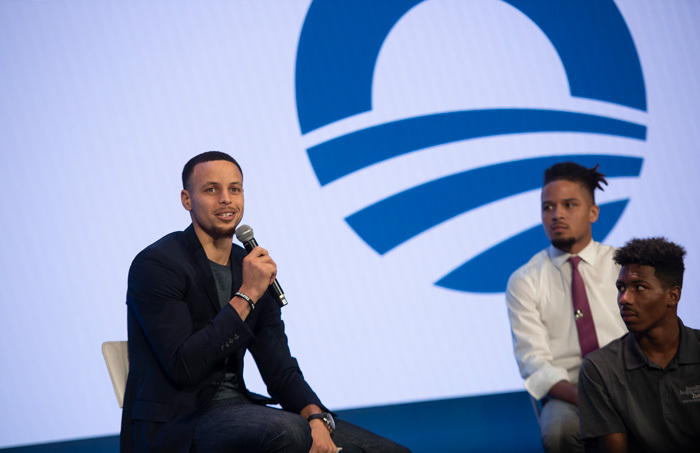 Step-Up Omaha Alumnus, Elijah Mitchell, Meets with President Barack Obama and Steph Curry at MBK Rising! All eyes were on Elijah Mitchell as 2000 attendees were looking at him on stage. “Did I really just meet and speak with President Obama and Steph Curry? Unbelievable. It’s all starting to sink in,” Mitchell said after the experience. He posted images and videos of himself and President Obama on social media. His Facebook page and Snapchat lit up with hundreds of likes and shares. 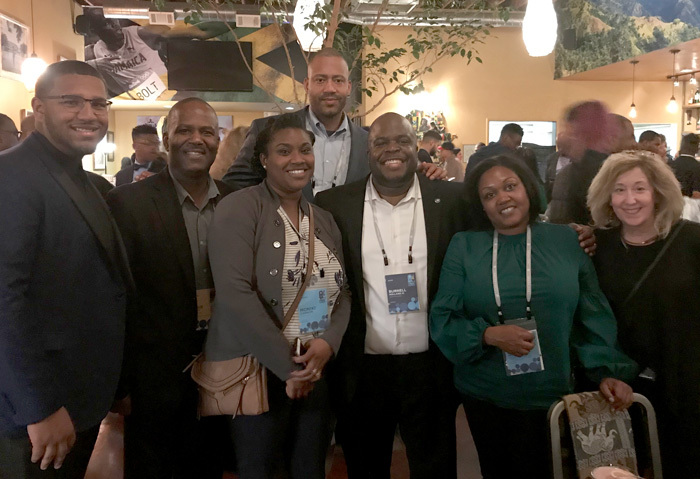 Mitchell, a Step Up alumnus joined an Omaha contingency on the trip to Oakland, California to attend the Obama Foundation’s first MBK Rising! national conference. The event marked and celebrated the five year anniversary of the launch of President Obama’s My Brother’s Keeper Movement (MBK) after the tragic murder of Trayvon Martin. The movement focuses on the success of boys and young men of color. 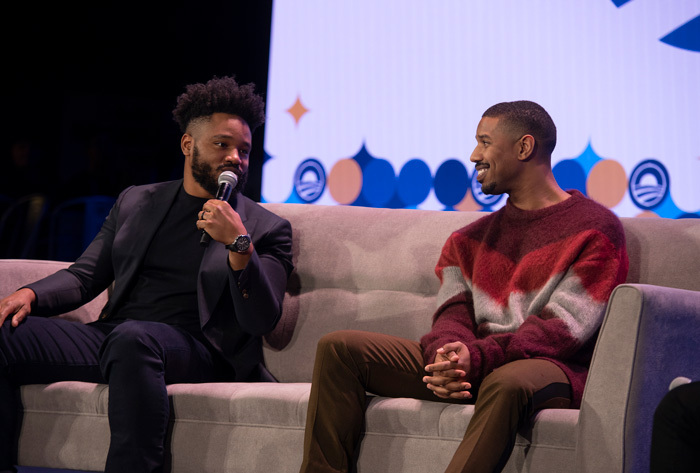 Thousands of young men, mentors, non-profit executives, local and national leaders, and celebrities from across the globe came together for an inspiring, challenging and power-packed three-day event. In addition to President Obama and Golden State Warrior’s Steph Curry, internationally known figures including John Legend, Michael B. Jordan, Susan Taylor, and many others participated in the groundbreaking gathering. Every aspect of the conference was full of energy and incredibly moving. It started with a day of service at local schools and included a town hall, music, food, main stage interviews, and informative breakout sessions. Topics focused on equity, policy, mentoring, violence prevention and story-telling. The entire conference was intentionally inclusive, featuring Native American, African-American, Hispanic and Asian youth. Mitchell joined Willie Barney, President of the Empowerment Network; Shelley Henderson, MBK of the Heartland Leader; Moniki Cannon, Step-Up Omaha Employment Director for the Empowerment Network; Deborah Neary, Executive Director for MentorNebraska; and, Douglas County Commissioner Chris Rodgers. 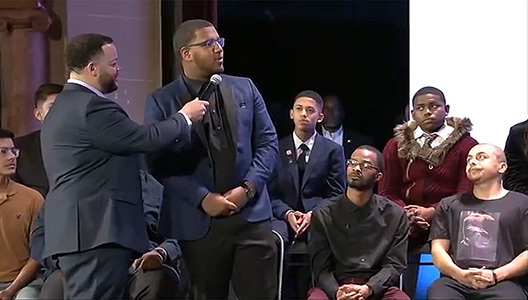 Mitchell and twenty three other young men were selected to share the stage with President Obama and Golden State Warriors Steph Curry in a town hall format. 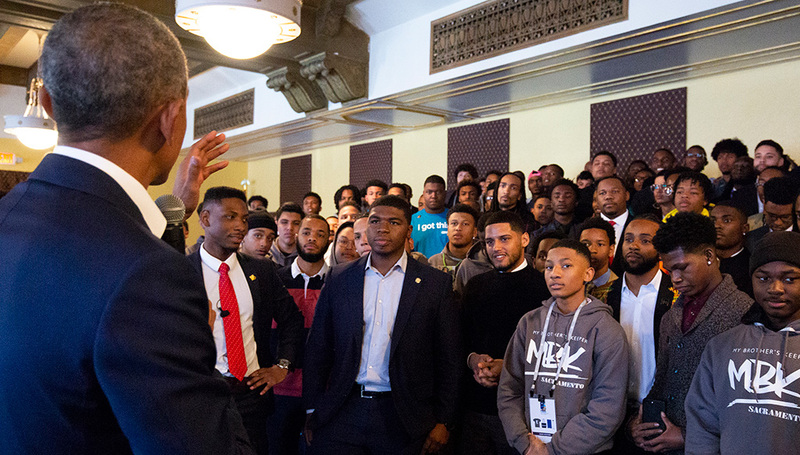 Obama and Curry took questions from the young men and provided insights based on their own life experiences. Mitchell was also provided the exciting opportunity to pose a question directly to President Obama. He was also able to take photos and spend time with President Obama and the other young men, including new found friends from across the U.S.
Mitchell started as an intern with Step-Up and worked at American National Bank for the summer. He did such an exceptional job and was offered a year-round position while completing his senior year at Central High School and has become a lead teller. “We are so excited for Elijah,” said Wende Kotouc, Executive Co-Chairman for American National Bank. “He is an outstanding young man and we are honored to have him on our team.” Kotouc and American National Bank were the first business sponsors of Step-Up Omaha and have hired over 50 interns since the inception of the program. Like Mitchell, a number of them have become full-time employees. 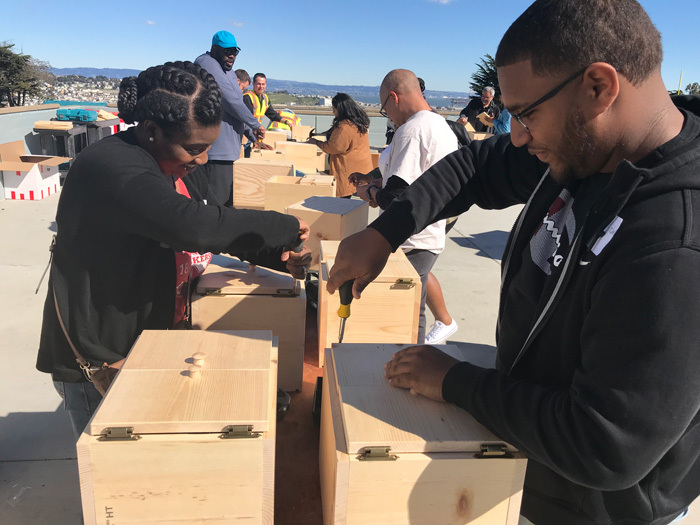 In November 2018, Omaha, represented by The Empowerment Network and MBK of the Heartland was selected by the Obama Foundation as one of 15 cities to receive an Impact or Seed Award after a nationwide community challenge. Over 200 applicants submitted detailed applications with the Empowerment Network receiving a SEED grant of $50,000 to help grow Step-Up Omaha! The goals are to serve a more diverse group of participants, connect them to mentors and expand STEM opportunities. Step-Up Omaha has helped to connect 5,000 youth and young adults to career exploration, jobs, and careers over the past 12 years. Barney was also invited by the Obama Foundation to serve as a speaker during a breakout session at the MBK first national convening. The session was facilitated by Michael McAfee, President, and CEO of the PolicyLink. “We are honored to be a part of this collaboration,” said Deb Neary, Executive Director of MentorNebraska and Nebraska Board of Education member. “This is an amazing opportunity for Omaha.” It was Neary who notified the team and recommended that the Empowerment Network become the lead applicant for the Community Challenge. Based on its collaborative work and twelve years of collective success, the Obama Foundation has also identified the Empowerment Network as a model that should be expanded and replicated across the United States. Another key aspect of submitting a strong application was the Network’s experience with leading the Omaha African-American Male Achievement Collaborative in partnership with the National League of Cities, PolicyLink, City of Omaha, Omaha Public Schools and forty plus community partners. Representatives from the Obama Foundation visited Omaha last year to make the final selections. They were impressed with the extensive collaboration, partnerships, and results generated in Omaha. 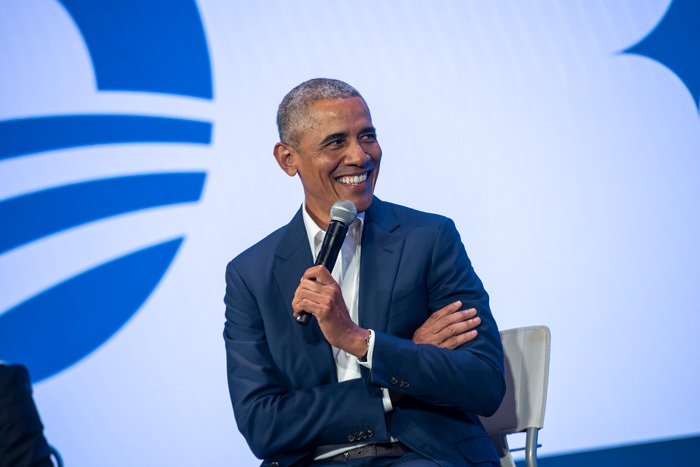 The Obama Foundation will work with the Empowerment Network and MBK of the Heartland for the next two years to advance and expand their local models focused on the success of boys and men of color. An executive from the Obama Foundation will visit Omaha in the spring of 2019. Omaha and the Empowerment Network would not have had the opportunity to apply for the community challenge grant if not for the efforts of Shelly Henderson, Earl Redrick, Regional HUD Director, and Commissioner Chris Rodgers. They along with 200 other cities took up the challenge offered by President Obama before he left office. Henderson led efforts to host a series of events and facilitated the development of a local action plan. The goal for the team is to help more Omaha boys and young men of color to connect with their purpose, establish big goals and experience high levels of success in school, life, careers, and entrepreneurial endeavors. Young men, just like Elijah Mitchell. Mitchell, along with other Step-Up Omaha alumni, was a part of the team that presented to the Obama Foundation when they visited Omaha. He is excited to be a part of the next phase. As he prepares to enter college next year to study finance, Mitchell is reaching out to other students to share his once in a lifetime experience and get more youth engaged with Step-Up and other community initiatives. 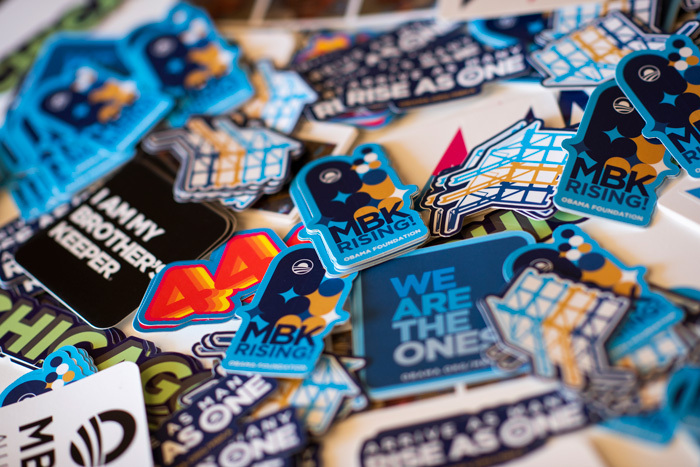 To learn more about MBK Rising! visit www.obama.org/mbka/rising.